Inbev Belgium's "House of Leffe" tells you all about the turbulent history of the Leffe abbey and explains which ingredients are being used to brew the multiple varieties of the beer. Design studio Pars Pro Toto commissioned us to contribute to the realization of this project. 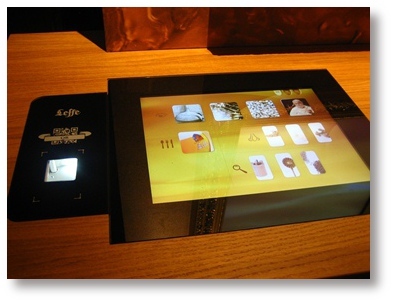 activating and switching off touchscreen, LCD-screen and local lighting via sensors. 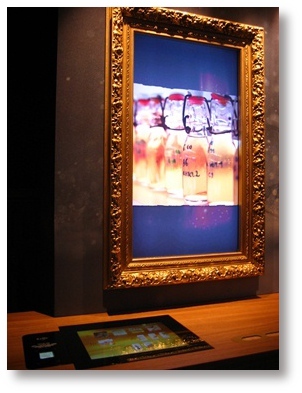 The line-up of Leffe beers has 8 displays with synchronized high definition video, managed by two MediaBoxes. In 2015, after the current distribution was thoroughly uplifted, we were asked to give the AV set-up a facelift and upgrade the software. The entire interactive exhibition starts up automatically together with the lights on opening days and hours. After closing time, the set-up is shut down completely, thus avoiding even the least bit of current drain. i2f MediaController software in the technical room is responsible for central control, also remotely. That comprises: scheduling, logging of all in- and outputs and real time visual control of the output. We can even see which content is being displayed at that particular instant.